JunkDiary: So you want to get rid of that hot-tub! What do you need to know? So you want to get rid of that hot-tub! What do you need to know? Hot tubs can be a fun way to relax any time of the year. Whether you have an indoor or outdoor hot-tub, a quick dip in the warm water can melt away the stress of a long day. But they can also be a costly drain on those monthly bills. Like running a pool, the excess electricity and water usage may not be worth the limited amount of time that you use the hot-tub. In the last thirty days we've seen almost twenty hot-tub removals! 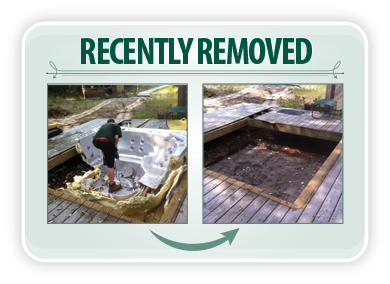 Each hot tub removal is a little bit different, with its own set of challenges. The Simcoe team removed this one, having to provide a little extra demolition to it in order to get rid of it. When the hot-tub is framed by decking this is often the case, but no hassle for us. Just make sure to let us know if there is decking, fences, or any other possible obstacles for us to be aware of in advance so we can make sure we're prepared. Some other times, hot-tubs can even be removed and placed into our trucks in one piece! In the video below, our Hamilton team did just that! It only took them a quick 30 seconds! 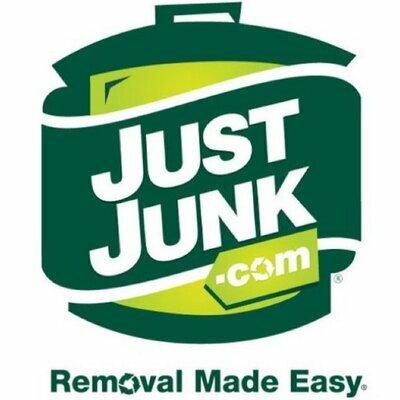 There are some things to keep in mind before JUSTJUNK® moves ahead with a hot-tub removal. Removal services aren't licensed to disconnect your hot-tub from plumbing and electrical outlets attached to the home. 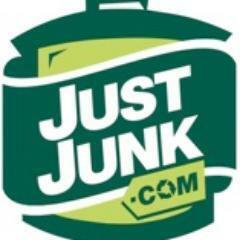 For safety reasons, these need to be unhooked before JUSTJUNK® comes by for the removal. From there, you saw how quickly we can dispose of a hot-tub for you! We like to make removal easy. 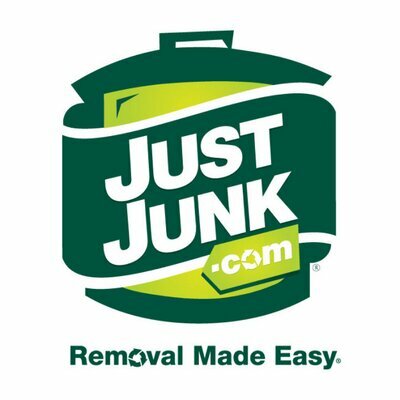 More info on our hot-tub removal service can be found on our website at www.justjunk.com/hot-tub-removal.